When will be Ceffylau Cymru next episode air date? 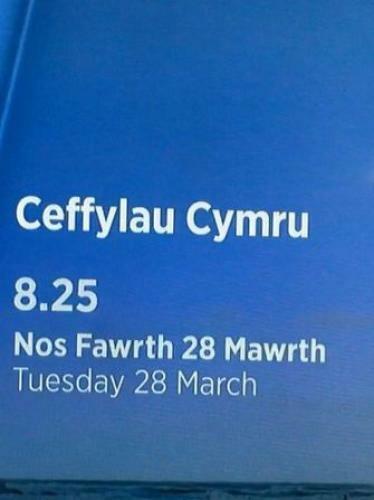 Is Ceffylau Cymru renewed or cancelled? Where to countdown Ceffylau Cymru air dates? Is Ceffylau Cymru worth watching? Horses play a central role in the lives of many Welsh people, from breeders and farriers to jockeys and blacksmiths. Horses mean work for some, leisure for others and for a few they become an obsession! In this episode of Ceffylau Cymru we triumph over the triple bar, overcome the oxer and float over the fences as we take a peek at the world of showjumping. Presenter Nia Marshalsay-Thomas meets trainer Eurig Eynon, and attempts to get herself and her horse around a jumping course under Eurig's watchful eye. Horse care is essential and in this episode David Oliver meets two individuals who offer different treatments. One is a race horse physiotherapist while the other uses the holistic method of Bowen therapy. We feature the little and large of the equine world in the final episode of the current series. David Oliver goes Anglesey to visit Ann and Gwen Holland and their Shetland ponies. Nia Marshalsay-Thomas travels to Pembrokeshire to visit the Fletcher family and their four Shire horses. Ceffylau Cymru next episode air date provides TVMaze for you. EpisoDate.com is your TV show guide to Countdown Ceffylau Cymru Episode Air Dates and to stay in touch with Ceffylau Cymru next episode Air Date and your others favorite TV Shows. Add the shows you like to a "Watchlist" and let the site take it from there.